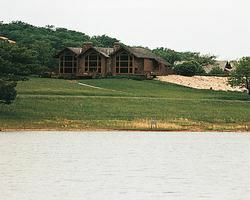 Nestled among the beautiful scenery near Eureka Springs, Table Rock Landing on Holiday Island offers a perfect spot to getaway and relax. Open year-round, guests enjoy the breath-taking foliage in the Fall and the crisp cool air in the Winter. If you are planning to visit during the Spring and Summer – you will love touring through the area and taking in all the sights. Shopping and restaurants in nearby towns make this resort fun for everyone. 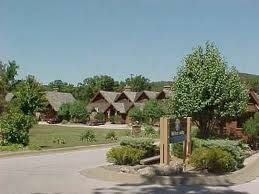 These Arkansas timeshare resales offer two-bedroom units at Table Rock Landing on Holiday Island. The units will sleep up to six guests with King beds in the bedrooms and a double pull out sofa in the living room. 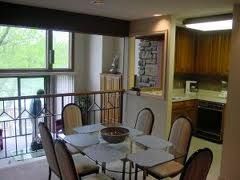 Fully equipped kitchens make it easy to prepare meals at the resort and eating on the deck or patio offers a relaxing atmosphere. A washer and dryer are available in the timeshare units along with heat and air conditioning. Spending time in front of the fireplace on a cool winter night or having a glass of wine while enjoying the warm water of the whirlpool tub will help take away the stress of the day. 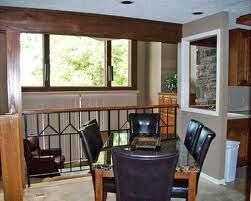 Televisions are in the bedrooms and living room along with DVD player and free high-speed internet. 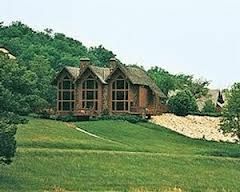 Table Rock is like a true vacation home. 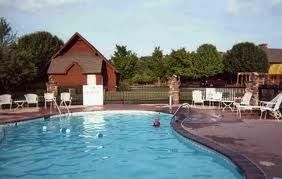 On-site amenities include a swimming pool, outdoor grill area and a playground for the children. Books and videos are available for rent at the clubhouse, and friendly resort staff provide information about the local area. Guests who appreciate golfing will want to take advantage of the nine-hole course nearby and take the time to browse the pro shop. If tennis is your game of choice, challenge your partner to a match on one of the four lighted tennis courts. Contact Table Rock Landing on Holiday Island Specialist Today!